The Arlington Aesthetic Clinic was Established in 2002 by a group of GPs sensitive to the effects on their patients of such changes as sun damaged skin, ageing lines on the face, unwanted hair, prominent veins on the face and legs, as well as conditions like facial redness and excessive underarm sweating. We offer a free consultation before any treatment is started to give you an opportunity to talk to one of the team in confidence to address any questions you may have. We use MPL (Multi Pulsed Light) and Laser for a number of conditions. The principle of both is that light energy directed at the skin targets pigment. The light energy converts to heat energy which can damage dark hairs in hair follicles, unwanted skin pigment and blood in unwanted veins and capillaries. The laser that we have is specifically for treating blood vessels such as unsightly facial veins or possibly veins on the legs. The MPL is used to treat unwanted hair on any part of the body including the face, and for sun and age damaged skin on the face, neck, hands etc. It also treats Acne. This treatment can best be described as a deep cleansing and rejuvenating mask. It is performed using a combination of acids, gradually increasing the intensity of these for each treatment. The skin peel will create a “tingling” or slight burning sensation, but it is not painful. Excess body hair can be unsightly, difficult or inconvenient to remove and grows back quickly. In extreme cases, it can be devastating to your self-esteem. There are many methods to remove unwanted hair. This is a treatment where an irritant solution is injected into unwanted thread veins on the legs. The chemical damages the inside wall of the vein causing it to collapse and then it is removed by the body’s own clear-up processes. We use tiny needles so that we can get into very small veins and to make the treatment virtually painless. Microdermabrasion treatments produce smoother skin and may soften fine lines and wrinkles. You can have a treatment and go back to work with makeup in the same day. It is sterile, safe, and affordable! We find it is particularly good for acne and acne scarring. A toxin injection is a simple, non-surgical, treatment that can temporarily smooth moderate to severe frown lines in people from 18 upwards. One 20-minute treatment, a few tiny injections and within days there’s a noticeable improvement in those persistent lines, which can last up to four months. Results may vary. This is a new technology that can reduce fat and tighten skin, for example on the face, neck and upper arms. This treatment is very effective for excessive underarm sweating that can cause great distress to those who suffer from it. It can last up to a year from a single treatment and we use tiny needles that most people hardly feel. Botox is Allergan’s trademark for Botulinum. Botulinum relaxes the muscles that cause lines and wrinkles. It is also used for excessive underarm sweating (Hyperhidrosis) and can be effective in the treatment of headaches caused by muscle tension. Treatment for lines, wrinkles and headaches lasts about 3-6 months. When used for excessive sweating it may last up to year. We use a variety of Dermal Fillers to smooth and soften facial lines including those round the mouth. It may also be used to fill small facial scars. 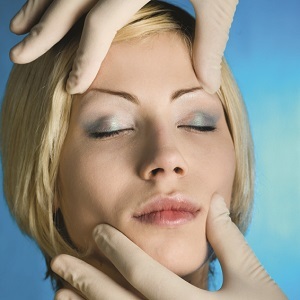 Filler injections work by using a manufactured version of Hyaluronic acid. Hyaluronic acid occurs naturally in the skin and plays an important role in supporting the skin structure. When the Filler is injected just beneath the surface of the skin it hydrates and lifts by imprisoning water molecules, thus giving back volume and helping to restore a youthful looking skin. These treatments will last up to 12 months. As it’s a naturally based material, it eventually breaks down and is absorbed by your body. Ask us about any of these services so that we can discuss your specific questions and the option that is right for you. We offer free consultations and aim to put you at ease and give you all the information you need.